There are many different kinds of rice flour (ssalgaru) but sweet rice flour (chapssalgaru) is made with sweet rice (also known as “glutinous rice” although it contains no gluten) and is used to make sticky rice cakes like gyeongdan. I also always use it in the porridge I make for kimchi. Posted on Tuesday, February 26th, 2008 at 11:47 pm. Last updated on April 24, 2017. Posted December 2nd, 2016 at 12:04 pm | Log in to reply. If I don’t have access to the sweet rice flour, is there any way to make it at home? Posted April 4th, 2016 at 6:19 pm | Log in to reply. I’m not sure if it counts as short grain rice (so I can make a flour for ddeokbokki!) or as sweet rice (glutinous)… Anybody knows???? Thank you!!! Posted April 4th, 2016 at 6:24 pm | Log in to reply. Posted May 25th, 2011 at 2:52 am | Log in to reply. 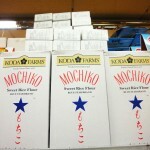 “mochiko” is not a brand, it’is the japanese name for “glutinous rice flour”. Posted November 24th, 2013 at 4:19 pm | Log in to reply. Posted May 6th, 2011 at 11:36 am | Log in to reply. Posted May 7th, 2011 at 2:22 am | Log in to reply. umm, if you cannot find rice flour, try to find glutinous rice flour..
sweet rice = glutinous rice = mochi rice…. Posted March 13th, 2011 at 12:20 am | Log in to reply. Posted March 13th, 2011 at 9:50 pm | Log in to reply. yes, sweet rice flour is glutinous rice flour. You can make rice cake with it. Posted April 8th, 2011 at 5:31 am | Log in to reply. Thank you for the recipe. 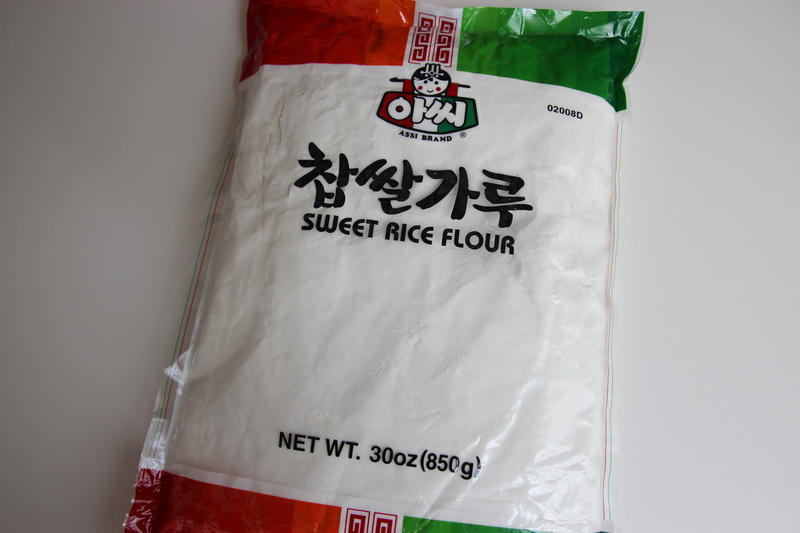 I want to ask whether the rice flour to make a rice ball with rice flour used to make tteok on tteokbokki? Posted June 27th, 2009 at 6:31 pm | Log in to reply. if not much trouble of course! Posted May 24th, 2009 at 9:42 pm | Log in to reply. I thought I could help clarify some of the questions about the ingredient swapping for future visitors. In response to Jen’s question about using Chili Powder instead of red pepper flakes, no, it is not a good substitute. The Chili Powder most of us in the States know of us actually a blend of seasonings that can include garlic, cumin, paprika, oregano and other spices in addition to ground dried chili peppers. This is best for Latin cooking or for Chili. Chile flakes (with an “e” on the end) are hot peppers that are dried and crushed and lend their heat to your dish. As for tapioca flour in Nina’s question, it is used the same way as cornstarch, arrowroot or potato starch – for coating foods before battering or for making a slurry with cold liquid to thicken something. Hope this helps! Maangchi, I am so excited that I already have the sweet rice flour on hand as well as some red beans paste. I could add the rest of the filling ingredients to it to save me a little time making these balls. Love your site so much. Posted May 25th, 2009 at 7:30 am | Log in to reply. Thank you for your good information! I didn’t know much about chili powder! I should refer your answer if someone leaves the same questions. Anyway, I want you to join the forum and share your knowledge with other readers! You could be our treasure on the forum! hope your rice cake turns out great! Posted April 21st, 2009 at 4:54 pm | Log in to reply. Hello, I was wondering is there a substitute for rice flour when I make gyngdan. Posted November 19th, 2008 at 7:35 am | Log in to reply.